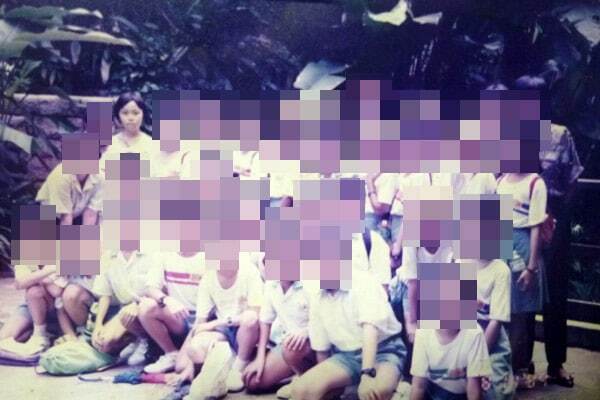 When I was young (particularly in my secondary school and JC years), I hated the camera. Why? The thing is my photos would always turn out ugly and unlike me. My face would always look much broader and chubbier and my body, stubbier than it actually was in real life. I would also look unhappy and morose, even when I wasn’t trying to be. Primary school class outing (I was from Rulang). My face somehow always appeared rounder on camera. JC class photo. Same issue of face appearing broader and rounder than it really was. And goodness, my fringe always had a way of looking awkward on photos! Many times I would look at my photos and wonder, Is that even me? Why do I look so different/ugly here when I don’t look like this in person at all? That the guys (AND girls) in my schools would look at photos (neoprints were the trend then) and yearbooks to check out girls and compare who was the prettier one over the other didn’t help. It made me scared of being in photos because I didn’t want to be objectified for my looks inside (or lack thereof). Hence, whenever someone so much as suggested taking a neoprint/photo, I would weasel my way out of it. 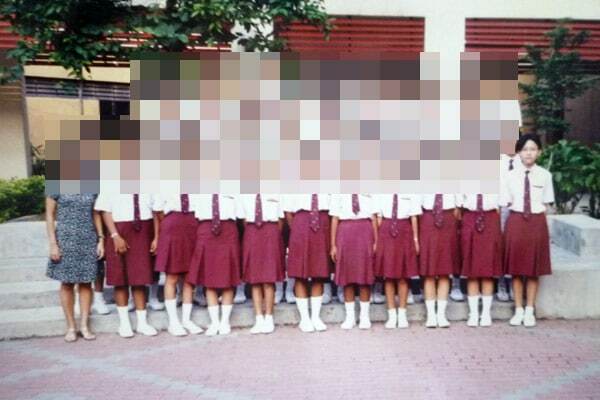 For inevitable photo taking sessions like for class photos, I would panic from before the photo was taken all the way till I saw the shot, after which I would feel depressed because I didn’t look good in it. I would then deny the photo’s existence by not looking at it, stashing it away, and/or destroying at some point later. Hence, I don’t have many photos of my adolescent years. If you were to ask me for photos of myself between 12 to 18, I don’t have many — if any — to share, because I had either opted out of the photos or destroyed majority of my photos from that period. After my teens though, I began to warm up to the camera. I was subconsciously tired of hiding from the camera and not having nice photos to remember my life by when my friends and classmates had no such issue. So, I conquered my fear/resistance, one step at a time. I started off by taking self-shots with my camera phone. (I was using an old-school Nokia phone then and later a Samsung flip phone. The flip phone with a frontal camera was great for self-shots.) This helped me to learn my good/bad camera angles and gain camera awareness. Seeing that I could actually look nice/good in photos for once built up my camera confidence. Slowly, I developed the habit of taking photos, especially during my business trips which were frequent in my previous job. (I was in my early 20s then.) After all, who gets to travel to a different country every month? I didn’t want to let these memories pass me by as I rarely traveled before that (my parents always felt traveling was a waste of money). While I was taking mainly environment shots and less of myself, it was a big step forward for the camera resistant me. Then slowly, I warmed up to the idea of taking photos with me in them. With good friends and for important events such as birthday celebrations, new year countdowns, and my farewell party when I left my ex-company, I would be game for photo taking since it was the best way to remember the day by. It got to the point where I became comfortable with not just being in front of the camera, but being on the media, being tagged by filming crews, and being on live national/regional TV where I would be seen by millions. 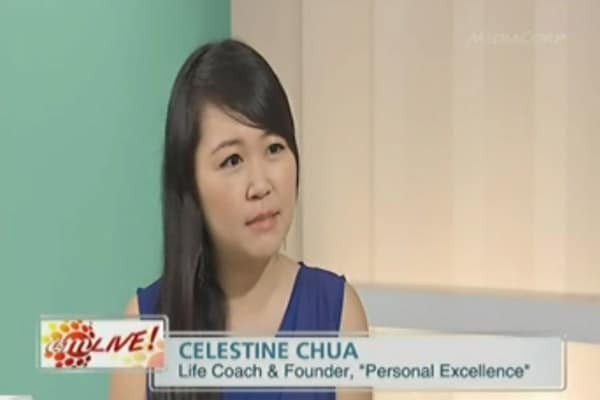 Live on Channel News Asia talking about setting new year’s resolutions. 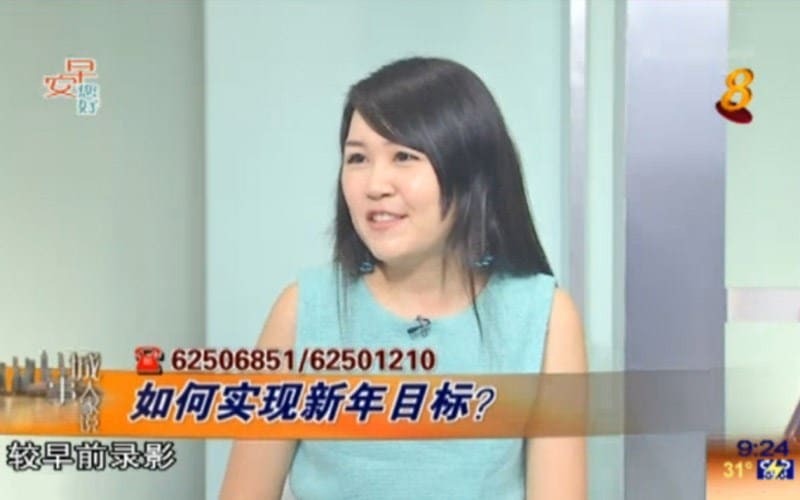 CNA is broadcast around the Asia Pacific region, including Singapore, Malaysia, Hong Kong, Taiwan, Indonesia, and The Philippines. Today, I’ve reached the point where I’m entirely comfortable being before the camera, be it for photo taking or video recording. I take photos of myself and my life on a regular, daily basis: from my daily life, to my travels, to being with my loved ones. Not only do I love taking photos, I also openly share photos (and even videos) of myself for everyone to see. I’ve publicly shared private photos of my travels, my proposal, my engagement shoots, and even shots of myself without makeup and with glasses on my blog (read by hundred thousands of people each month). To me, photo taking is an important way to capture life’s precious memories and to share them with my loved ones (including you!). If you ask me, I wish I had overcome my camera resistance issues much earlier, because then I wouldn’t have to struggle so much with the camera in my teens and I would also have had more photos to remember my teenage years by. The camera-loving person I am today is a far cry from my past self where I hated and resisted the camera. While I have addressed my camera issues, I thought that my past camera resistances were isolated to me, and hence never referred to it on the blog. For those of you who don’t already know, Dove is an international personal-care brand with skin care, hair care, and facial care products. I personally own a number of their products, from their shower cream to their hair conditioner. As a brand, Dove is committed to inspiring women to celebrate their own beauty and helping them recognize they are more beautiful than they think. These are philosophies which I vehemently believe in and regularly write about on PE. 77% of women are ‘camera shy’ (i.e. 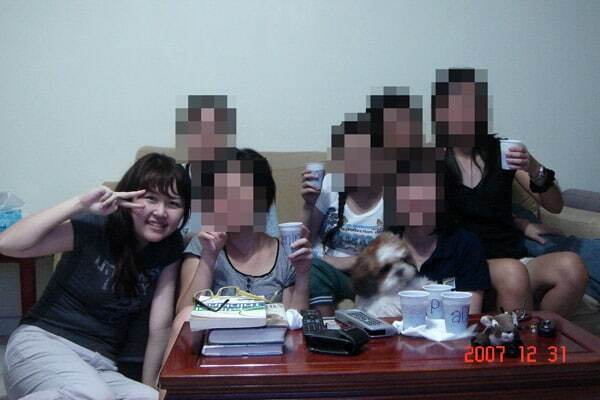 have hidden from camera before or feel self-conscious in front of the camera). 41% admit to altering their photos before posting them online, from cropping out a part of their body (19%), to retouching to erase a facial mark (19%), to removing wrinkles (10%). 55% of women are more camera shy today compared to 10 years ago. I found the statistics a little saddening, especially the part about how some women do not have photos of important events such as a once-in-a-life-time vacation or even their wedding. As you guys know, I’m getting married next year May, and getting a skilled photographer (and videographer) is one of the top to-dos for me and Ken right now. We feel it’s important that we get the best photos/videos of that day because it’s going to be one of the most important days of our lives. Russ shies from the camera when the camera isn’t hers. Leonardo dislikes the camera as he feels he looks fatter on photos. Nafy hates photo taking because she looks different from others. Mary avoids taking photos as she doesn’t like the way she looks. Laurel is camera shy because photography doesn’t always capture her best side. Charumati is camera shy as she doesn’t exactly know what to do when before the camera. Rahana has always been camera shy but wishes she had more photos of her teens and 20s which are now past. Unlike what many may think, camera confidence actually has little (if nothing) to do with how you look. You can look drop dead gorgeous but still be camera shy; I once met this girl who is very pretty but is totally resistant to photo taking or video recording for some reason. Camera confidence comes from embracing your beauty inside and out. I’m camera confident today not because of how I look (as I mentioned above, I’m totally cool taking and sharing photos of me even without make up, wearing day clothes and wearing nerdy glasses), but because I’ve addressed my beauty anxieties, regained my inner power over the camera, embraced my beauty inside and out, and learned how to let my real self shine with or without the camera. 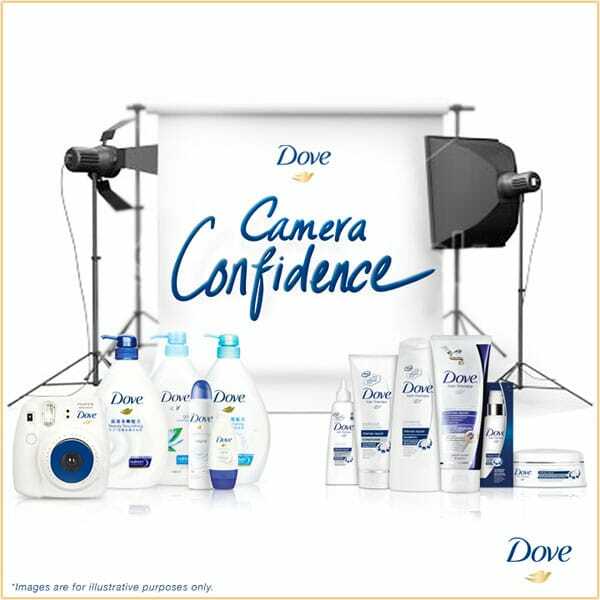 “Love the Camera, Love Yourself”: Join Me in Dove’s Camera Confidence Workshop! In line with addressing camera shyness among women today, I’m proud to announce that I’ll be working with Dove on their upcoming Camera Confidence Workshop to help women overcome camera shyness and develop camera confidence! 😀 Because really, every woman is beautiful in her own unique way and there’s no reason why any of us should resist or hide from the camera. YOU are beautiful and you deserve to shine in your own light and beauty. I will help you to achieve that in this workshop! You’ll learn how to develop camera confidence with me in the first half of the day through my four-step camera confidence framework. Following which, you will get a FREE Dove photoshoot with portrait photographer Suasti Lye, where you’ll get to apply the lessons you just learned! Hair-styling session and makeup will be provided free before the shoot, all courtesy of Dove. Dove goodie bag with S$200 worth of Dove products! It’s a workshop not to be missed!! Visit www.DoveCameraConfidence.com and fill up your details. Share your thoughts about camera confidence (through the form on the site) and why you want to be a part of this workshop! 10 most inspiring entries will stand to win a free ticket to the workshop along with the prizes above! This workshop is event is only for females in Singapore. I’m personally very excited about the workshop and look forward to working with you there! 😀 Dove is a very inspiring global brand and I’ve always been a big fan of their Campaign for Real Beauty, which started in 2004. I can’t wait to work with you beautiful ladies during the workshop itself! Submissions end on 12 Nov, but do fill out your particulars and send in your entry now as there are already many entries coming in! What are your views on camera shyness? Do you have any experiences or stories to share about it? Update: The workshop is now over and was an amazing success! Check out the photos at the workshop plus my feature in Dove’s Video Commercial! 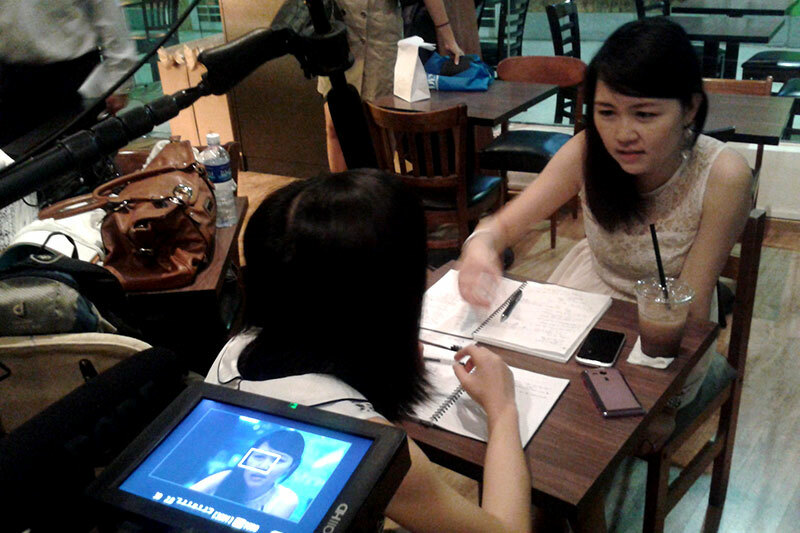 : My Dove Camera Confidence Workshop Photos and Feature in Dove’s Video Commercial! This is a sponsored post in partnership with Dove. The post and content are 100% me. I will never write about something I don’t believe in.